Making stuff, doodling, hugging trees and being suspicious of colour. The Atrium, Chaffers Dock Building, 1 Herd St, Wellington. become a friend of Craft2.0 and enjoy an hour of crowd free shopping between 9am and 10am. You’ll also get an exclusive organic cotton Craft2.0 tote packed with treats. 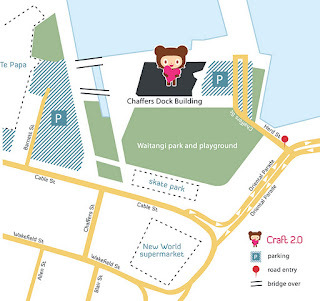 Popular Wellington craft fair, Craft 2.0 is on the move. The next fair will be held at The Atrium, Chaffers Dock Building, 1 Herd St, Wellington. This is the same location where the City Market is held each Sunday. Craft 2.0 is free to enter. The fair accepts cash but also has EFTPOS on site. It’s the commitment to New Zealand-created, independent design that sets Craft 2.0 apart. Everything at Craft 2.0 is made or designed by the person selling it. The sellers are carefully selected to get just the right mix of favourites and new faces to ensure the fair is chock-full of handmade goodness. Spot prizes are given away during the fair to shoppers." 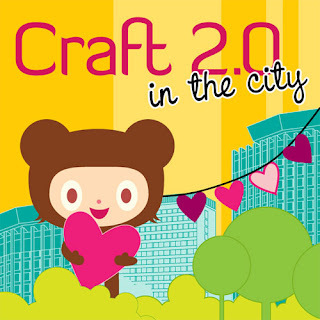 This fair will the the last Craft2.0 for 2011, so no dedicated Xmas event. This means that there will be plenty of Xmas gift ideas for organised shoppers, but without any of the ghastly "holiday theme" music.